Though you may sweat over the guest list or freak out over the décor – the food is the life of the party until Nelly comes on. Today we’re going to talk about food and lots of it. If you weren’t aware this is where your money goes when you throw a soiree of any type. We can go all out and spend a thousand bucks on food or we can be savvy and spend about $100 on food -it’s all up to you and the event you are planning. Host provides it all is the first type of event we are going to dive into. I find it really helps if your party has a theme. For example: Labor Day is typically a time of seafood or burgers and hotdogs. I rarely see anyone making roasted lamb for a Labor Day party. I mean if that’s your game then go on and win it but for me – no. If you opt for a seafood themed event buy it fresh. That means you need to find a reputable seafood market and buy your shrimp, clams, oysters, crab, etc there. Some grocery stores have a great selection of fresh seafood – check those as well. If you’re in my market this means you may want to check out Harris Teeter, Publix, Fresh Market, and Whole Foods. Seafood is not typical correlated with cheap. You will shell out a bit of money for good seafood. The drawback of seafood is that many people have seafood and or shellfish allergies. Ask your guests. Epi pens are expensive. Nothing beats a burger. I will say this over and over again. If your shindig is low key and informal there is nothing quite as amazing as a fresh beef burger. Also, we must account for the vegetarians and vegans in our lives. You can make awesome vegetable based burgers at a fraction of the cost of fresh ground beef. I am very leery of beef in this day and age. I personally only buy organic, grass fed beef. Since this is becoming more of a popular trend you can find organic beef at a fraction of the price it once was. If you don’t have a local farm to buy direct from I suggest you try Marketside Organic Ground Beef (Walmart) or Nature’s Place (Food Lion) and there is Laura’s which is sold nationwide. Main course complete – what are your sides? Let’s be honest some people will not touch a main course but will go hog wild with side dishes. I may be one of those girls. Sometimes it can be overwhelming piecing together a meal. Exactly what sides go best with your main course can be a million dollar question. I live in the south and down here if we have seafood then we can expect a few different sides based on the main course. If you’re doing a boil then you are super lucky – the boil has the sides in it. 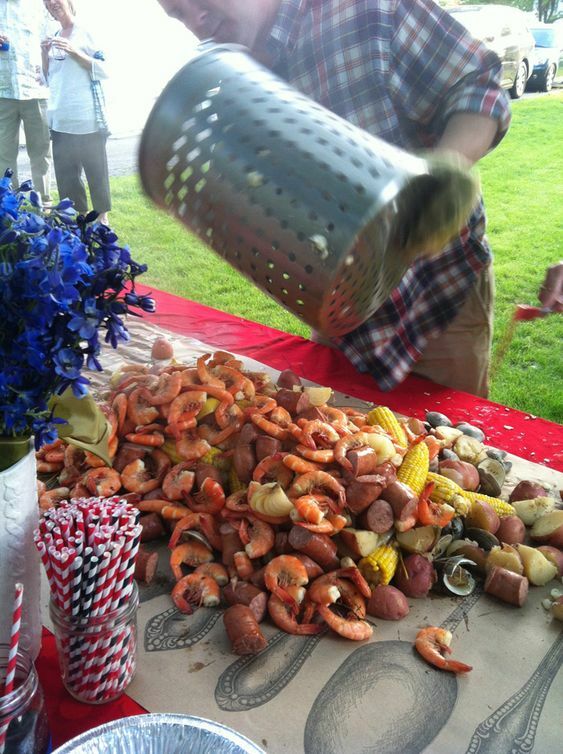 Potatoes and cob corn boil with the shrimp, crawfish, and sausage. You’re totally rocking the whole meal in one pot. 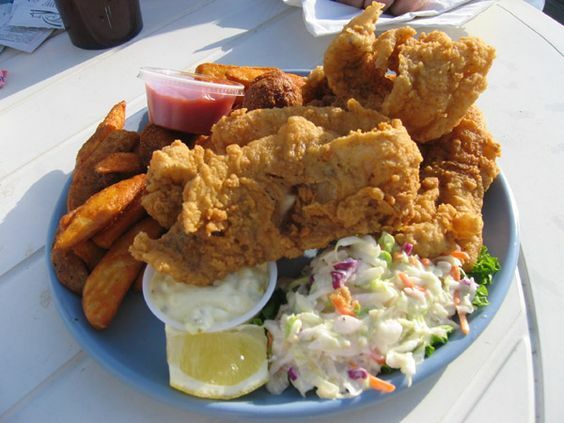 Fried fish, the bloodline of Sundays in the South, goes great with what is called white slaw (cabbage, mayo, a bit of vinegar, a bit of sugar) and a potato option (all hail the magical French fry!) However, if you visit the other side of my state you will eat your fish with navy beans in place of the potato. What I am suggesting here is to take into account the food heritage of your region and embrace it for your own menu. Grilling out those burgers makes for an easy meal. Anything goes when we grill burgers. I like to serve up grilled veggies (squash, zucchini, onions). You can make baked beans (a total favorite almost everywhere in the nation). We can create a great potato salad or pasta salad. Or you can be so low maintenance that you buy ten different varieties of chips and say dig in. As September progresses your food ideas will change. Football watching parties can be an extension of the tailgate. My mouth waters just thinking about brats and onions! I also love shrimp skewers at a game. And what is football and fall without a good chili? Chili is that one cool weather food that can be made for any palate. You can go traditional, bean free, vegetarian, chicken based, TexMex. You can make it thick and hearty or light and juicy for a stew feel. Just be sure to have all the sides ready to go. For me that means: corn muffins! Can I get an amen for brisket? Where are my Texas girls? Brisket is the gold in this girl’s book. I love it grilled slowly with a good ole rub. And side dishes for this? Oh heavens to Betsey we can do just about anything! A good layered salad goes great with this excellent cut of meat. Though I live in the west I prefer the east’s bbq. Here in North Carolina we have something called barbecue. In other places in the country you think that means burgers and dogs but it doesn’t here. Barbecue is chopped pork shoulder, cooked slowly on a big cooker in your backyard, and served with your preference of sauce. 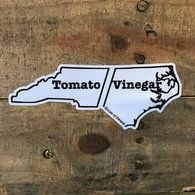 In Western North Carolina it has a tomato and vinegar based sauce, in Eastern North Carolina a tangy non tomato vinegar sauce, and in South Carolina a mustard based sauce. I am not a barbecue fan but it does make a lot of people happy. My family loves a taco bar. 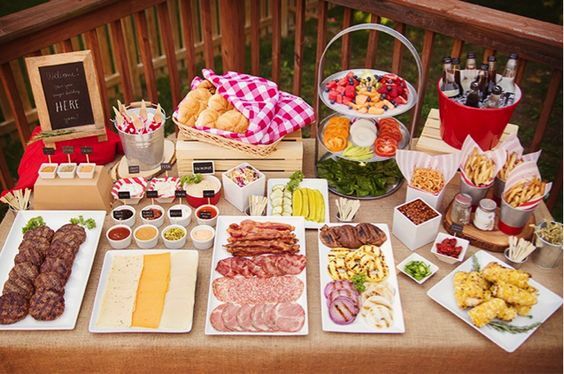 This is, happily, a great option for food when you’re hosting an event. Once again it can take on the role of making every guest’s diet preference into account. Beef, chicken, vegetable – everything goes when you have a tortilla and good beer. Dos Equis for me! 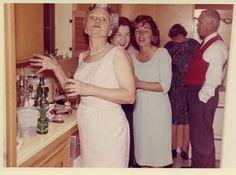 If you’re opting to make the main dish and do a pot luck then you are opening the gates of all kinds of sides to come into your party. However, you won’t just get sides. With this style of hosting you will get fabulous appetizers and slap-your-mama-good desserts. This also cuts out a minimal part of the cost of hosting. When you only need to focus on the main you can save money or go ahead and do the right thing and buy the better quality meats and vegetables for your main dish. Being a Southern girl I have a rule that I must attend to at all times when I am hosting. If I am having people over for a meal or party I must have one thing on that far table. 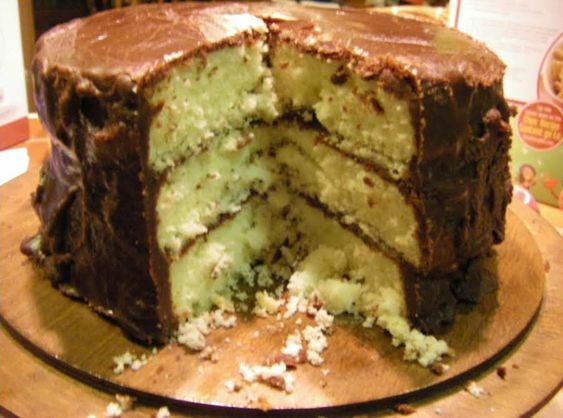 This may not look like much to you but it is my childhood revisited – my Mammaw made this delicious cake and between the lightness of the cake and the richness of that icing – holy gates of heaven y’all. Or a pie the size of Alaska. What I am saying is that bride is crazy as a loon and by God people need cake. I don’t care if you get a $30 cake at Walmart or a $200 cake at your local baker – when I party I want to see that magical confection of flour, butter, sugar, eggs. 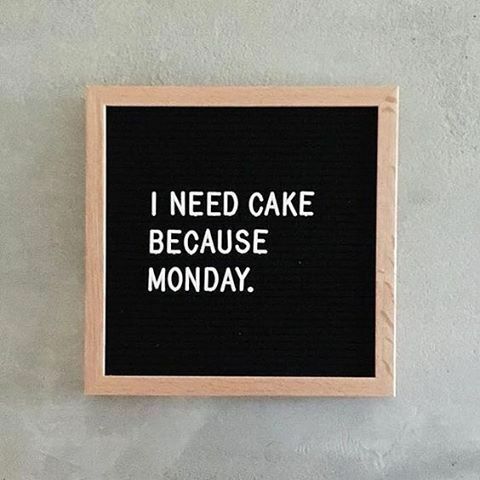 Cupcakes will suffice. Cookies are OK. Pie is divine. And when you step outside the box and make something super simple like pumpkin dip with vanilla wafers my husband’s heart will jump for joy. You know what I love? A shower. Yes the kind to get clean but also the ones for brides and mamas to be. I love them because they have cake, yes, but also because they have fun snack foods too. You know…foods you only get at showers. 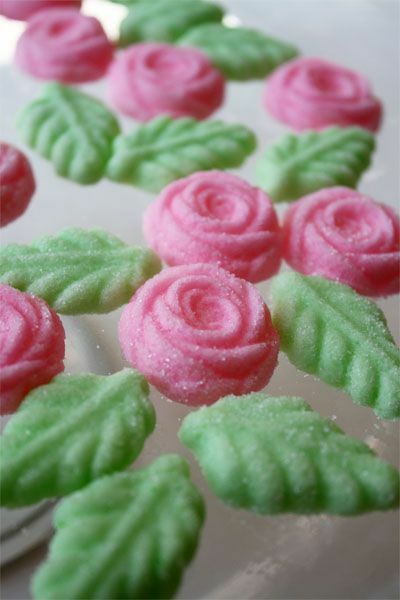 When I was a kid, taking it back to the 80s, my grandmothers made homemade “mints” now I’m not sure if they were really mints but they had these adorable little molds and they would make a candy (called a mint) for the showers. Basically it was sugar and that’s it but those things were pretty close to manna if you asked me. I also remember having a tiny plate with a cake square, peanuts, pickles, mints, and an amazing punch that was generally pineapple juice and soda mixed up. Today we take these snack parties to a whole new level. It could be safe to say the foodie population has really made itself known in the last ten years. 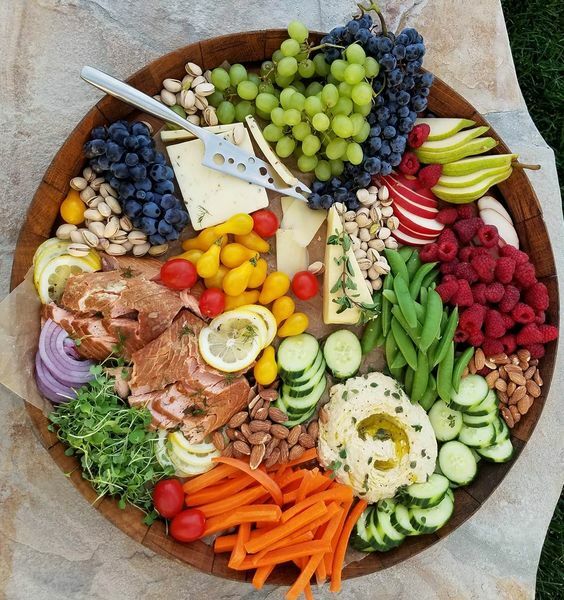 Snack parties are even totally acceptable for larger events than showers because when you have a football party or a kid’s birthday party you want to graze instead of corral the kittens to eat bad pizza. Embrace the snack party. 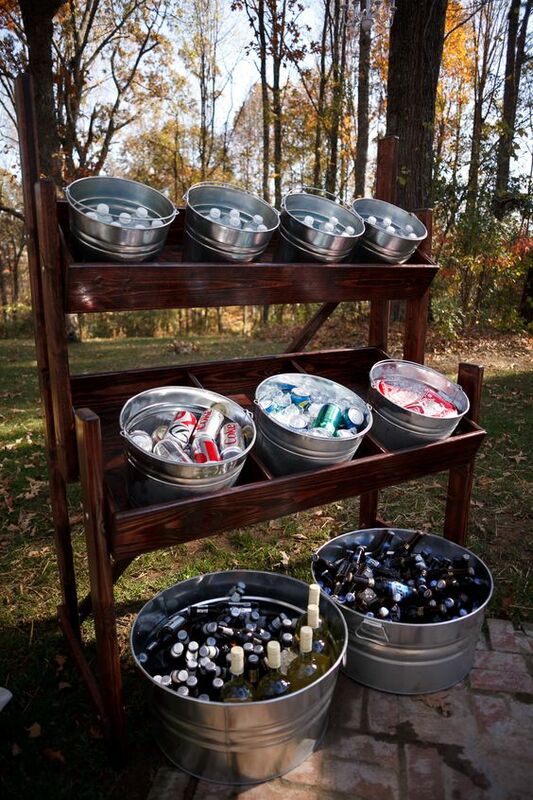 Take the shower game across party lines and rock it for your next birthday gig, tailgate, or random celebration. If you though the meat was expensive I must ask if you have ever seen a booze bill? I will forever be a BYOB kind of girl. Not everyone drinks and those who do drink do not all like the same kind of beverage. Water, kid’s drinks, tea, one regular soda option, and one diet soda option. I also put my own wine out to share and my husband shares his preferred beer. However, I do not stock wine and beer. If this were a reception or large scale party then yes I would foot the bill but when it’s a nice event for your home let your guests bring their favorites. Guys, I have just typed so much about food that I am not hungry. I feel like I need to burp or nap now. Whew. Tomorrow I’m posting on food again but it’s part of the Healthy Girl series and not this I MUST HAVE CAKE NOW style post. I do hope you will check in for that one. Now let me know your go to party food for any type of party! Put it in the comments. Go have a tasty Monday. Well, this just made me plum hungry!! My goodness you covered the party food bases. Buttercream Babe that you are for shizzle!! I love cream cheese too. But any given day I could eat some butter cream LOL! I love making my own food and coming up with my own themes, but when someone DOES decide to bring something, well, that’s pretty special, too! Gearing up for our Labor Day Weekend Football Watch Party! LOTS of cooking to do for that one! We are all about the snack parties. That cake is my ideal cake. 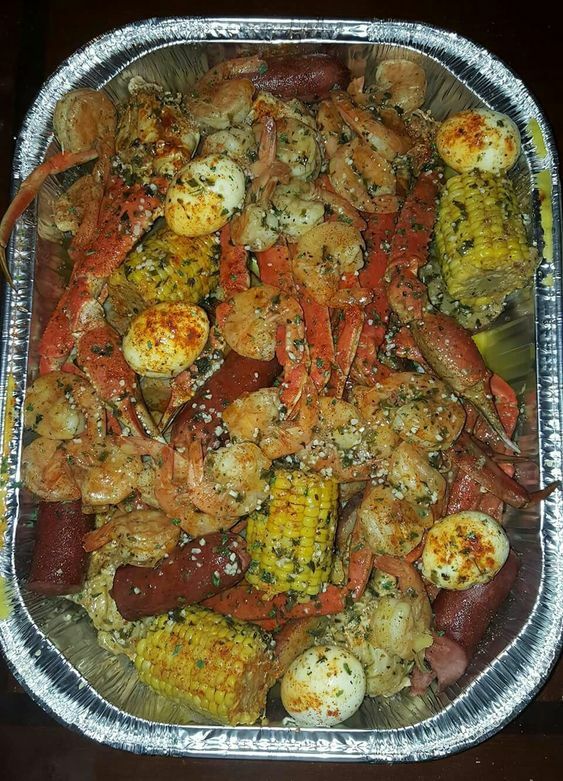 I am also all about a good low country boil. We are big on grilling parties. People always bring sides. And beer is a must! Yes ma’am beer is a must! I do look forward to beer more in the fall than summer. I love pot lucks they are just the epitome of a laid back good time. Thanks for coming over, sweetie! I had a PB&J so I’m good LOL!!!! App parties are fun and low stress for sure! CHEERS! Thanks for coming over, girl! So many great food ideas!!! My favorite is barbecue and Mexican food. For fall parties I like to do a chili bar. MMMMM I am hungry! I am with you on the Nelly by the way. Burgers and brisket have my heart. 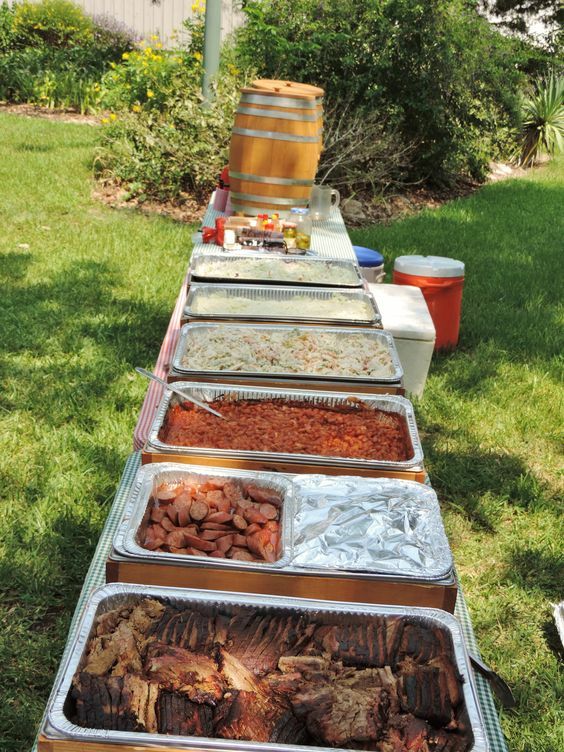 My ex’s family used to roast a pig and everyone brought sides, man the selection of sides was outrageous! 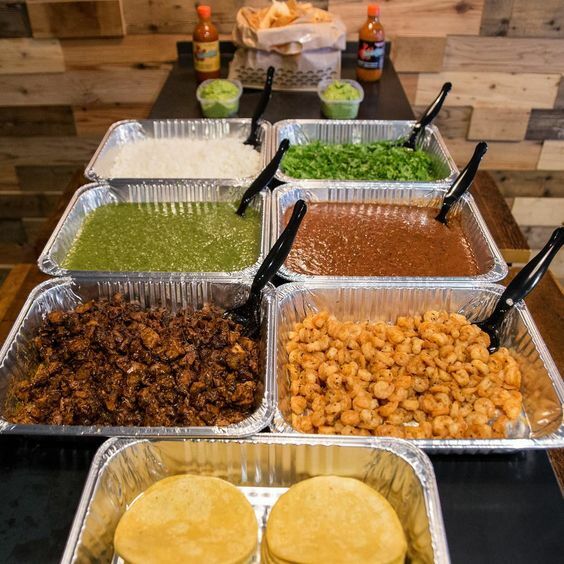 I love a taco bar, a chili bar, and a snack party for sure. Missy – we just love food – of all kinds! And good music! XO!